A Korean will be part of a team of International Atomic Energy Agency inspectors visiting Japan's Fukushima nuclear plant, which was the scene of a meltdown following the 2011 tsunami and earthquake. The Korean inspector is Hahn Pil-soo, the IAEA's director of radiation, transport and waste safety. The 19-member IAEA team will visit the plant from Nov. 25 to Dec. 4 and assess Japan's efforts to dismantle the plant and dispose of the contaminated water. 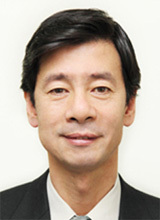 Hahn formerly worked for the Korea Atomic Energy Research Institute and moved to the IAEA in 2011. He will be the assistant leader of the inspection team. The Korean government had apparently asked the IAEA to include a Korean member in its inspection team for Fukushima amid growing fears over the leakage of contaminated water. The IAEA team will meet officials from the plant's operator, Tokyo Electric Power Company, after the inspection and hold a press conference on Dec. 4 announcing their findings. Meanwhile, TEPCO said it would dismantle reactors No. 5 and 6 in addition to reactors No. 1-4.